Good news for the small business merchants in Asia Pacific, the PayPal Seller Protection is here! In prior, seller protection only limited to certain countries like US, UK & Canada, it's a great effort by PayPal to extend this further to cover Asia Pacific! 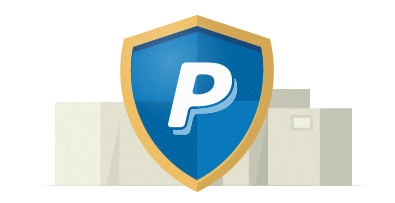 Starting 11th Oct 2013, PayPal will extend its seller protection to merchants reside in Australia, New Zealand, China, Hong Kong, India, Indonesia, Japan, Malaysia, Philippines, Singapore, Taiwan, Thailand and Vietnam. What PayPal Seller Protection does is, basically, protect merchants from credit card Chargeback (a Chargeback is when a buyer asks their credit card company to reverse a payment they have made to you). In the events of Chargebacks, PayPal will pay the merchants the full eligible amount. Of course, provided you meet all the criteria mentioned below. The PayPal Seller Protection covers only tangible aka physical products. It won't cover any services, intangible or digital products. - Unauthorized Payment (means buyers claim they never authorize nor make such transaction). - Item NOT Received (INR - means buyers claim the package didn't arrive). - Significantly not as described (SNAD - means buyers claim they buy a blue shirt but you sent a red one). It protect merchants of any sizes. It covers transactions on your own branded webStore. There is no additional cost to take part in this protection. It covers both Domestic Transaction and International Transaction (cross-border). It covers buyer protection at the same time (simultaneously). Seller must have a PayPal Account in one of the APAC countries covered under Seller Protection. The item purchased must be a physical, tangible good (except for motor vehicles). You must receive payment via PayPal from a buyer’s PayPal Account e.g. Express Checkout (EC), Website Payment Services (WPS) and PayPal Invoicing. It does NOT cover PayPal Direct Payments (including Virtual Terminal Payments, Website Payments Pro/Plus payments), PayPal Here payments, PayPal carrier billing products and PayPal Email Payments. You must accept a Single, Full payment from one PayPal Account for the purchase (partial payment and/or payment in installments are excluded). 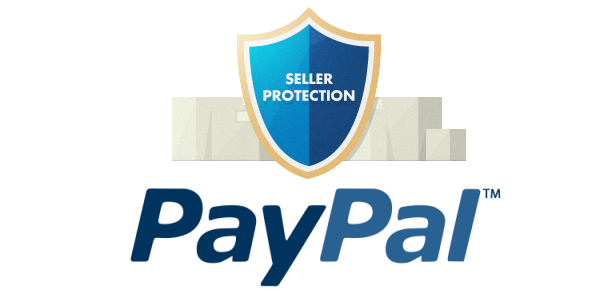 The transaction must be marked by PayPal as eligible or partially eligible for Seller Protection on your Account “Transaction Details” page. - If it is marked eligible, protection for both Unauthorized Transaction and Item Not Received will apply. - If it is marked "partially eligible", protection for only Item Not Received will apply. You post the item to the shipping address (Confirmed Address) on the “Transaction Details” page. If the item is delivered in person or picked up in person or if you post the item to a different address (for example, if the buyer asks that you send to another address on the basis that it is a “work address” or a “gift address”), then you will not be eligible for Seller Protection. Basically, if you deliver an item in person or post it in any other way that can't be tracked, you won't be covered. Tips: What does it mean by Confirmed Address? - PayPal examines a buyer's credit card billing and shipping addresses and verifies them. - PayPal examines a buyer's PayPal account history and confirms that their address is legitimate. You must respond to PayPal’s requests for documentation or other information that is reasonably required by PayPal to investigate in a timely manner. Postage requirements aka Documents for shipping. Depending on the type of claim or chargeback the buyer files, you will need to provide either Proof of Shipment (POS) or Proof of Delivery with Signature Confirmation (POD) to get coverage. Status of “shipped” (or equivalent) and the date of postage. The recipient’s name and address must match those shown on the “Transaction Details” page. The sender’s name and address must match the Seller’s name and address. Upon timely submission of the documents, PayPal will review and determine whether the disputed transaction meets the eligibility requirements for Seller Protection. If it does, PayPal will lift the temporary hold on the funds and restore the funds to your Account! That's it! Does it mean PayPal successfully decreases the percentage of online fraudulent orders? Nope, it only means PayPal "assume" the risk which merchants normally bear when it comes to online transaction aka non-card present transaction. Also, some other key takeaways shared by Lawrence Chan (VP, Merchant Services APC & GM SEA): PayPal currently make up 40% of total eBay's revenue. There are already 1.5 million active PayPal users (means log in at least once in past 6 months) in Southeast Asia and He also shared that PayPal is a 80 / 80 business, which means 80% or more of its business actually comes from 80% of its merchant base. He cited for Malaysia, 90 percent of PayPal merchants from Malaysia are SMEs. But does it mean that the protection is fraud-proof? Nope! ecommerce.milo's verdict - Lowest risk of PayPal transaction comes from a Verified PayPal Account, which we will cover in depth soon in upcoming post. *The fee above is for domestic transactions. International transactions add 0.5% to the price above. Why the price hike? Enhanced services like seller protection is cited as one of the reasons, but we think it has a lot to do with the recent development of MasterCard revised up the interchange fees for credit card transaction fees done via PayPal (or similar "Staged" wallet system like Google Wallet), which you can learn more on the following reads below. Visa CEO calls digital wallet fee on PayPal "appropriate"
PayPal vs. MasterCard: Can Digital Wallets Save Retail?